If you have had a chequered financial history, you may unfortunately find it difficult to get credit again in the future. Anyone who has a previous defaults or has declared bankruptcy may struggle when it comes to applying for catalogue credit accounts, as big name catalogues such as Grattan, Littlewoods and Very have strict lending criteria and may refuse accounts to those with a less than perfect credit history. All catalogues are required to carry out a credit check on potential customers, and this can prove to be a barrier for those who have struggled with debts in the past. The good news is that there are some catalogues that may be suitable for customers with a poor credit score. Note that acceptance is not guaranteed and credit is available subject to status and affordability checks. Homebuy is an excellent choice for anyone who has a bad credit history. Offering low weekly payments on an excellent choice of goods, they make it really easy to budget for your purchases. Because they are committed to responsible lending, they always ensure that you never take on more debt than you can afford, so you won’t have to worry about falling into debt. What Items Do Homebuy Offer? Customers can choose from an enormous selection of furniture to improve their home with Homebuy. From sofas, tables, dining suites and occasional tables to comfortable beds and mattresses and wardrobes, every room can enjoy a makeover with Homebuy. There is also an excellent range of kitchen appliances like dishwashers, washing machines, fridge freezers and cookers from top brands like Beko and Hotpoint so you can be assured of excellent quality. If you need a new home entertainment device, you can find TVs, laptops, blu ray players and audio equipment here too. Applications are made online through the easy to use website. Once your details have been received, one of the customer service team will call you back to complete the contract and finalise your purchases. Once you have made all the arrangements, you simply need to send the company proof of your address, identity and income and your order will be on its way! 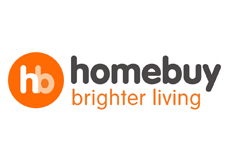 Homebuy offers free delivery on all purchases, so you won’t have to pay a penny extra to receive your goods. DialATV offers a rental service to all customers, and especially those with a poor credit history, in the UK. They are an extremely reliable company with a history that goes back over 23 years, and have considerable experience in offering a high quality service to bad credit customers with a commitment to responsible lending. Offering a choice of low monthly or weekly payments to suit your budget, you will never need to worry about how to afford your bills again. What Items Do DialATV Offer? DialATV is the perfect choice for anyone who needs a kitchen appliance, computer or home entertainment system. Offering a great range of big brand products by manufacturers like Toshiba and Russell Hobbs, you can find fridge freezers, cookers, dishwashers, tumble dryers, washing machines and vacuum cleaners to completely equip your kitchen. You can also find televisions and blu ray players, laptops, tablets, and MP3 players. There are even package deals enabling you to acquire several essential items at one low weekly rate. Application can be completed online or over the phone. You simply supply relevant details to enable a credit check to be carried out and then set up your payment method. If you do not wish to use monthly direct debit as your payment method of choice, you can call the customer service team to arrange an alternative method. 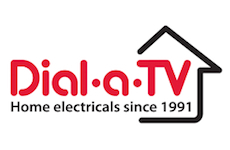 DialATV offer free home delivery on all their items and will install your appliances and home entertainment purchases in your home for free. One huge bonus is that during the period of your rental you can have repairs on any faulty goods carried out completely free of charge as part of your agreement. This means that you will not have the hassle of arranging for a third party repair service or the extra cost this incurs. You can even upgrade to the latest model every year, meaning that your appliance and equipment is always as technologically advanced as possible. DialATV is a rental firm, so there is no APR rate. When it comes to good catalogues for bad credit customers, DialATV and Homebuy are the easiest ones to get a personal account with. Their lending criteria means that your application for instant credit is more likely to be accepted, and their commitment to responsible lending means that you won’t have any worries about how you are going to afford to make your payments. Payments are low and are made on a weekly or monthly basis enabling you to budget easily. Although none of the three can offer guaranteed acceptance, you are much more likely to be able to buy the essentials that you need on finance from one of these three lenders. Although there is no such thing as no credit check catalogues, these lenders have a less stringent criteria and are more likely to offer instant credit to those who are keen to repair the damage done to their credit history. No catalogue has guaranteed acceptance for a credit account, however these bad credit catalogues are a much better bet for those with a poor financial past. These are some of the most popular shopping catalogues in the UK, but if you have a poor credit score, do not apply with these retailers as they will more than likely turn you down. These catalogues typically require you to have an above average credit rating before they will accept your application. If you wish to rebuild your damaged credit history, choosing one of the catalogues for bad credit is a great way to repair your financial reputation. Showing that you can handle your credit account responsibly will improve your credit profile, and enable you to be offered further credit in the future. You must ensure however that you never miss your payments and always pay the required minimum every week or month as outlined on your statement, otherwise you will end up with an even worse credit history. It is important though to remember that there is no such thing as no credit check catalogues as it is a requirement for every catalogue company to perform checks on potential customers. You must also bear in mind that no catalogue offers guaranteed acceptance, even those aimed specifically at bad credit customers.